2012 Awards. Hand Cream of the Year. Clinique Even Better Dark Spot Correcting Hand Cream SPF 15. I’m not going for an award-in-every-category this year. Just highlighting a few favourites that I’ve really enjoyed using in 2012. Regular readers of this blog will know that I haven’t always had a good relationship with the Clinique range. I think the 3 Step is in dire need of updating and Clarifying Lotion? No. Having said that, I love this hand cream. It has become a staple. Oddly, I keep it on my bedside and use it in the evenings when I get into bed. I love the smell of SPF (I never said I was sane) and this absorbs really well, leaving no residue. You however, may want to take advantage of the SPF and use it during the day as is intended, like a sane person. Another tip – always rub the residue of your hand cream (and moisturiser!) on your elbows – always. I met Goldie Hawn in the 90’s – she looked (and was) amazing but her elbows looked like lizard skin and completely gave away her age (sorry Goldie! Love you!). 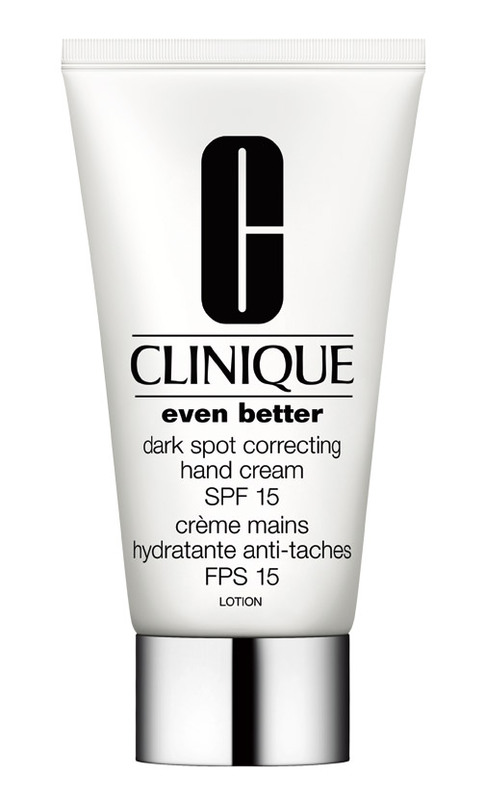 Clinique Even Better Dark Spot Correcting Hand Cream SPF 15 is my Hand Cream of the Year. Also possibly a contender for longest name of a product? Next Post 2012 Awards. Most Missed Brand. Kate Somerville.